The Royal Malaysian Navy Lekiu-class frigate KD Jebat (F 29). 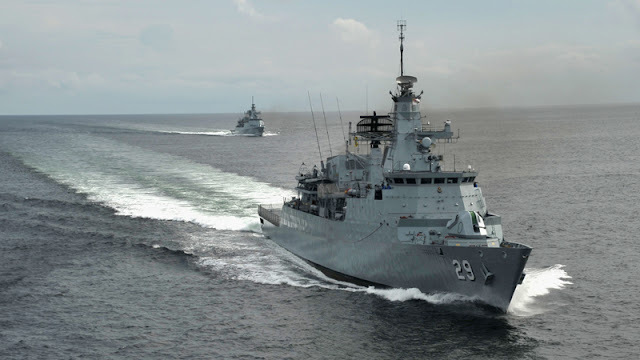 The Royal Malaysian Navy (RMN) will be installing a new locally-developed Combat Management System (CMS) made by Malaysia's TCM Innovations Sdn Bhd, which is a subsidiary of T7 Global Bhd. to replace the current one. The new CMS, called Vibrant 1 was co-developed by Marine Crest Technology and T7 Global Bhd., in cooperation with India's C2C-DB Systems Pvt Ltd., which provided the base software. The selection was made after a tender was made by Malaysian shipbuilder Boustead Naval Shipyard to supply and install a new CMS for the RMN. The first ship to receive the new CMS is the Lekiu-class frigate KD Jebat (F 29), although it is expected that the other ship of the class KD Lekiu will follow soon. The Lekiu-class uses the BAE Systems Nautis CMS, which is already near obsolescence.